Bad news for Sam’s Club suppliers. 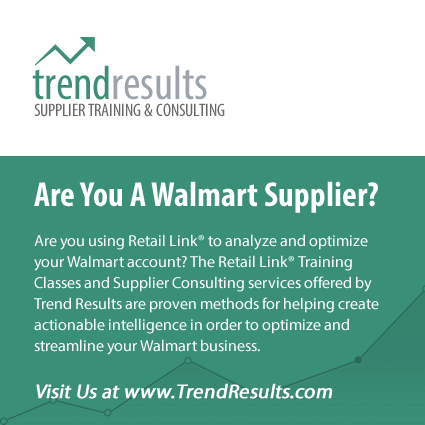 Decision Support Solutions (DSS), the Retail Link application used to gain insights into account performance, is being decommissioned on June 1, 2018. In its place, Sam’s Club has partnered with Nielsen and 1010data to create the Member Analysis, Data Reporting & Insights Domain (MADRID). MADRID is designed to “deliver the metrics that suppliers need in a view that Sam’s Club personnel want, so you can both focus on driving mutual growth”. As a Sam’s Supplier, you are obviously aware that DSS is a free application, providing the supplier rich insights into all aspects of account performance. While the objective of MADRID is to provide the same actionable insights in a “same page thinking” format, it is hardly a win for suppliers. Nielsen and 1010data have created a “pay to play” program with MADRID, and the costs for suppliers are steep … in most cases, prohibitively so. Hundreds of thousands of dollars per year, to gain the same insights that have been previously provided to the suppliers for free. This will inevitably reduce the number of suppliers to Sam’s Club … Drastically. Simply because only the larger suppliers can afford to pay these high fees to access MADRID. Less competition means higher retail prices. Period. Sam’s can still try to negotiate their remaining suppliers for a lower cost, but the suppliers (the ones who are still standing) now have significant leverage because of the lack of alternatives for Sam’s Club. In summary, this is a cash grab, but in my opinion it is one that is a lose-lose-lose: for Sam’s Club, their suppliers, and the consumer.